Attracting a high-caliber workforce is a critical factor in encouraging the growth of any business. In Upstate New York you will have access to a pipeline of trained and experienced people. With more than 300 public and private research universities and institutions of higher learning, UNY graduates are well-prepared with curriculums designed for today’s competitivebusiness environment. 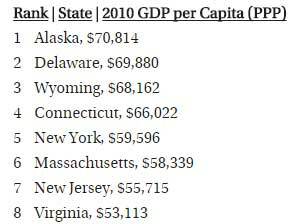 New York State ranked among the top 5 states in the nation in the key economic category of labor productivity according to the Commerce Department’s Bureau of Economic Analysis (BEA) and Prof. Mark Perry. With respect to education, NYS ranked 5th in advanced degrees among all states, according to 2000 Census data. New York also invests heavily in its workforce, improving workplace skills through on-the job training, formal schooling and vocational or technical training. Upstate New York also boast one of of the Most Productive Workforces in the Nation1 In manufacturing our workers generate a value of more than $6 for every dollar earned. Professional and managerial workers produce 39 percent more than the national average Manufacturing workers produce close to 16 percent more than the national average. Our labor costs are also low. Our average manufacturing wage is $13.86 per hour - 27th among the 50 states. Yet our workforce standards are higher, and our training and educational resources far greater. You'll find skilled and semi-skilled workers, seasoned and up-and-coming talent, high-tech and non-tech specialists, workers with educational degrees and professional experience of every kind -- alin New York State. New York ranks first in degrees awarded in materials sciences, computer sciences and medical sciences, ranks second for degrees awarded in electrical engineering, mathematics, and biological sciences, and ranks third in civil and mechanical engineering. Search educational institutions. New York State offers assistance to small and large businesses attempting to meet the challenges of creating new products, entering new markets and improving production. New York State can also assist with: training newly hired employees, linking your company with job seekers who possess the required skills, and partnering with various organizations to promote. National Grid’s job is to connect people to the energy they use, safely. We are at the heart of one of the greatest challenges facing our society – delivering clean energy to support our world long into the future.